Senegal is mourning the death of 13 people killed by unknown armed men in a forest while fetching wood in the Southern region of Casamance. Burials continue in the provincial capital of Ziguinchor, as families insist that their loved ones had nothing to do with illegal wood traffickers who exist in the area. Senegal's president, Macky Sall, tells Marc Perelman that his country is ready to send soldiers to the front in northern Mali to fight the Islamists. 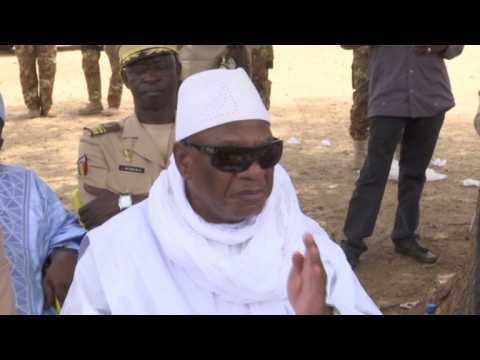 However, he says the elections in Mali will no doubt have to be postponed. Macky Sall discusses the danger of terrorism in Senegal and promises that the "ill-gotten gains" probe is nearing its end - and that it is not a witch hunt.